I stumbled on Modupe after reading a piece she wrote on Man Repeller — one of my favourite content websites. She had written about natural hair and there was just something about it that drew me in. Of course, I also connected with her name, seeing as it’s a Nigerian one. So I followed her on Instagram, and her Instagram stories fascinated me. You could see just how much in-depth knowledge she had about the fashion industry and fashion writing. I was really intrigued, and in typical fashion (no pun intended!) wondered what she did for a day job. As it turns out, she’s a freelancer that sometimes becomes a permalancer (hey, new word alert!). 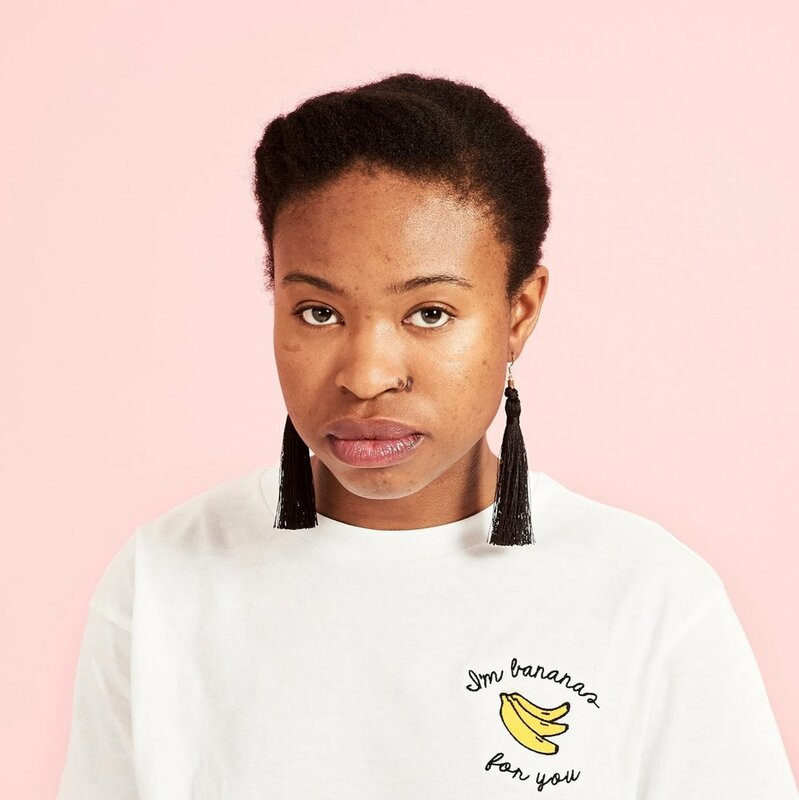 In her words “I'm a low-key-but-actually-definitely-high-key fashion, beauty and pop culture enthusiast from Nigeria, raised in Lesotho and then South Africa, where I now live and work. I studied fashion design, then decided to write about fashion and the culture and industry surrounding it instead”. Besides Man Repeller, she’s been published in ELLE South Africa, Refinery29, The Lake Magazine, The Luxe Digest, and so much more. As a writer, she loves good and bad puns, but just in case you can't tell from her face — she says she sings like an angel! 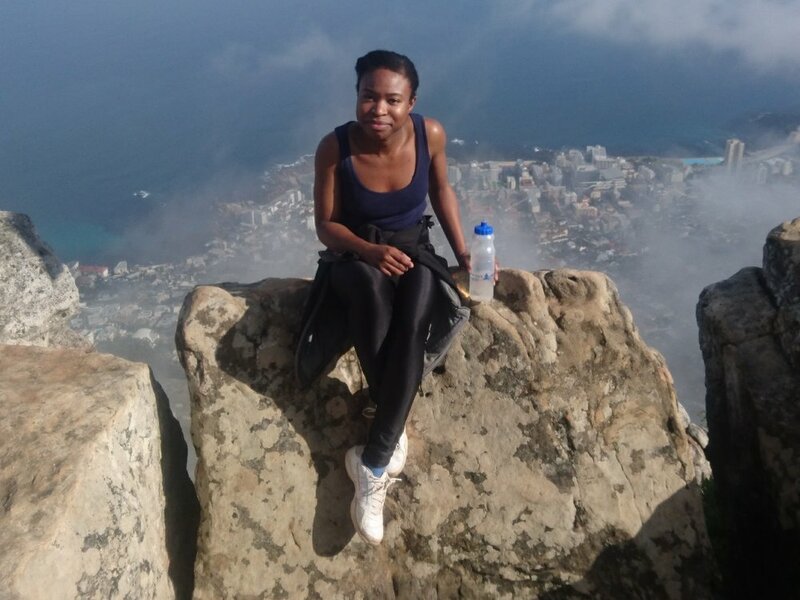 Modupe shares a day in her work life as a fashion, beauty & home copywriter at a major South African retailer, including how she got the job via Instagram and the worst bits of it all. For what she’d do if she quit her job, well you need to read her response to question 13! First at 5:40 am, then 6:00, and I probably don’t hear it until the last call at 6:45 — I’m working on fixing my sleep at the moment. I really don’t have a morning routine! Most days all I do is shower, get dressed, and get out, and it takes me longer than I’d like even though I don’t really dress up (Cape Town’s very casual) and rarely wear makeup. I drive to work most days. It’s a silent drive, just me and my thoughts preparing for the day, the kind of thinking, praying, and planning that would ideally happen at home over a quick breakfast. Copywriting on the fashion, beauty, and home team at a major South African retailer, writing content and other marketing materials. I report to a manager who does the same but manages bigger jobs and oversees all our team’s copy, and as the team’s head of content, she also acts as my editor. Via Instagram, of all things! She reached out, and after a coffee or two, we were set. It sounds so informal, but she knew some of my work and they were only hiring a freelancer for a 3-month contract, which went so well we extended it to a really great 10 months. I’m a freelancer, but so far I’ve mainly been the kind referred to as a permalancer: generally working 3 to 6-month contracts or longer with one client, full time, to help fill a gap after a resignation or extended leave or to assist with the heavier workload at busy times of the year. You find work and work finds you in all sorts of ways, from word of mouth to formal invitations to interview for a role. I’ve done three rounds of interviews with HR, department heads and chief executives for some jobs, but I’ve also had one short meeting I didn’t really know was an interview that resulted in an offer the next day. I studied fashion design, and found it frustrating to plot a path forward — I wasn’t as good as I wanted to be, and through my studies, I found out how few options I would be qualified to pursue actually appealed to me. Of course, no one should expect to land a dream job right after graduating, but you want to pick something you can believe you’ll be good at! At the same time, I fell in love with everything else behind fashion’s curtain, through a short first-year internship at our local fashion week. I have always loved writing (and I’m better than average at it) so I decided to pursue media while finishing my design diploma (it would be equivalent to what you would call an associate degree, I think) and see how I feel about design in a few years. I worked to make my writing as professional and compelling as the work that inspired me, and it became clear that this was a good fit. My best grades throughout design school were in art & design history because the submissions were almost always essays. I’ve been working for just under 5 years. Only a little more than half of that has been spent writing and I’ve moved around more than most. Short-term opportunities were what found me first, and when longer term work came along there were good, solid reasons to move on from it. As a result, I have a rounded view of fashion media and I’m comfortable filling several kinds of roles that fit under that umbrella. Our traffic manager goes around the team to do quick catch ups on everyone’s work — what jobs are open, what jobs are closed (approved), what jobs have come back for changes, what’s just been briefed, and any dates that have moved. We operate as an ad agency within the company, with work briefed to the creative teams (us) by brand managers who handle all the different portfolios in teams of their own, from kidswear to our women’s brands to our basics range. I open up my emails to check for debriefs and any unfinished conversations from the previous day and look at what I can wrap up before digging into the day’s main focus, which I decide on with my traffic manager based on the size of the job and its deadline. Then we’re off, and it’s usually writing: researching, workshopping, writing and rewriting 18 short lines for in-store merchandising about why our tees are awesome, a radio ad script about a sale or our rewards program, or a trend story from our new collections laid out in a blog style post - whatever the brief calls for. I get the occasional campaign brief, which is always a fun challenge because most of the process is about finding exciting ideas that help a brand tell its story and position its collection in the market, before working on any copy. There are meetings for the larger jobs where it’s better to have a discussion along with the brief. More follow when the brand manager has feedback that isn’t just down to tiny changes they could send in a debrief alone. There are presentations, which require quite a bit of prep so they take up most of your day (or the afternoon before) on the days they happen. At the start of a season there’s a lot more of these, enough to take up the bulk of your day, so you have to plan well to keep the rest of the work going — thank God for traffic managers. Working on a campaign I’m not allowed to talk about yet. It’s the biggest thing I’ve worked on that made it past senior executive approval, and it’s connected to the trade goals of other parts of the business, not just fashion, beauty, and home. I had to hand it over to another copywriter to continue working with the campaign’s art director at the end of August, but I can’t wait to see how they’ve evolved it since and to see it in stores all over the country! 7. The worst part of my job! The amount of work you do that never sees the light of day! A lot of things that affect the work (budget, brand strategy, trade calendar changes) sit completely outside of your team’s purview, whether you’re actually in an agency or you work client side. I worked on an exciting denim campaign concept for several weeks and it never happened because the budget was reassigned. It’s just business and that’s important to remember, but you get excited when you know an idea will make an impact and it can be disappointing. There are other things that are just general issues wherever you work, like office politics, but for creatives still trying to build a portfolio of proven, published work, I think that’s the tough bit. I guess you just get used to it. When you work on your own outside the office environment, a fickle, indecisive client is the worst that can happen — the job never ends. is hands down the team! After some real difficulty with that on different jobs, they were such a breath of fresh air! You may not realise how important having a good team and being a good member of a team is until you don’t have one. Working at company HQ also brings access to great discounts and services, including a sample store that was open every day. A lot of the perks don’t have to be open to freelancers, but they were nice that way. That writing is easy and fashion is easy, so writing in fashion must be a piece of cake. Fashion is a business, and glamour is its product, not its lifestyle - that’s what I tell everyone. Writing is the same. I’m proud of the handful of cool bylines I have so far, but the work before hitting publish can be more about sweat and a lack of sleep than anything else. Are there much tougher jobs? Of course, but like any business for profit, this +$2.5 trillion global industry has its pressures. There’s a lot of money invested in ideas, designs or brand campaigns, and you have to make that money back. Everyone whose ideas and decisions are on the table is accountable for that, to different degrees. Learn to write a good cold email. That’s what got me access and opportunity in the beginning. I was recommended for my first job by a contact I made by cold email. I’m currently trying to learn to do this well again because the kind you write when you’re super green and trying to get your first internship isn’t the kind you write as a newbie freelancer. Get over any nerves you have about reaching out to people you don’t know, as soon as you can. Better yet, reach out anyway, nerves and all. Social media can be a powerful work tool if you use it with intention, whether or not you are an influencer or someone with a public-facing personal brand. I am neither, and I don’t have a ton of followers, but authentic engagement with my industry on Instagram has helped get me bylines, this job, and this interview! Make it a point to keep learning. It shapes your perspective and keeps your ideas and your work fresh and relevant. Keep up with what’s going on in the world and in your industry - I primarily use Business of Fashion, Fashionista, The New York Times, and a local creative industry website called Between10and5. I’m thinking about where I want to go from here and it has helped so much to know what I like and don’t like within fashion, where my skills are most useful, and what fashion media is going to need next so I can focus on up-skilling in that area. Beyond that, the same applies to everyone — work hard, take initiative, be nice to everyone, and be even better to your network of friends and colleagues, not just for opportunities they might bring you, but for the emotional and social support you all need. Relationships rule everything, and you don’t have to be a social butterfly to be good at it or to benefit from investing in them. Zone out, and I wish it didn’t involve so much social media scrolling, but it does. I’m trying to make exercise a habit again, but I’ve only gotten as far as solo dance parties in my living room. I’ll make or order dinner, read an article or two (my one good screen time habit) and if I don’t have a features deadline, binge a few episodes of something and try to sleep. It’s hard (with an overactive, anxious mind), but I’m working on better sleep habits. If this makes me sound like a grandma, it’s because I am one. I’m grateful for friends that occasionally drag me out of the house for fun, and I’m getting better at doing it myself, but I am 96.2 percent homebody. … is that it’s actually 9 - 5! Most fashion media jobs are only 9 - 5 (or 8 - 5) on paper. I didn’t always have the best time management so it could go past those hours, but after coming off a digital magazine production contract of back to back 10 - 15 hour days for 3 months, it was heaven. It allowed me to keep doing some casual features writing work (my main format) on my own time to keep those skills sharp; editorial work and commercial work are really different. Actually, I just did! I opted out of renewing my contract and have been out of office for a few weeks. In my case, it was restlessness and fatigue that dragged on from jobs before this one — this one was great but I still needed a real break where I could focus on input, not output. I had healthy savings for going back to school (now postponed) that allowed me to take a short sabbatical. I’m still working but much, much slower, spending most of my time in personal development — I bought about 10 books with topics ranging from money management to faith to learning to code. I’m reading those and doing other things I’ve been putting off - short courses I bought, journaling, and a lot of sleeping. After a lot of things that I put myself out for didn’t work out this year, including getting into a specialised MBA program in Paris and not being able to raise or find enough funding, I’m trying to decide what I really want out of life and what I want to do next to get closer to that. I know I want to continue in fashion and media, but for the first time in a while, I really don’t know what to do. Ideally, I’d like to study and work in fashion abroad for a while and then come back to South Africa, but that’s not working out right now, so do I find more full-time editorial work or do I take a shot on building one of my own ideas? Do I press pause on everything and go teach English and travel? I am also applying and interviewing in the meantime, just in case the right opportunity comes around. With that out of the way and if money were no object, I’d be travelling absolutely everywhere. My family is really spread out so I have been blessed to see a bit of the world and I am determined to see the rest. To start, I’ve just bought a ticket to London. I completely fell in love with it on a family trip last year, and a project I’m working on is being presented there in February. It gave me an excuse to finally take the leap and dig into my savings for my first solo trip! 14. One career I'm genuinely curious about and might try in my second life. My Domaine’s second life podcast is amazing for this; it’s incredible how much change we can make in our lives if we really want it! I don’t know what exactly I would do, but I would want to work in film and television more than anything else. I think storytelling in that format would be sufficiently challenging, satisfying work. I’d worm my way in through my writing and work in production, direction, or even scores and soundtracks — I love music. Costume design is amazing too but was somehow never that compelling a choice for me. I loved this feature! Sometimes the freelance life seems so appealing, but then again can be pretty uncertain. Is a middle ground of being a ‘permalancer’ the way out? Freelance but on short term defined periods. That definitely allows you to move around if you want, take breaks and work on projects you actually love. What do you guys think? And is just just me or are more millennial quitting jobs and taking breaks to do what they love? A million thanks to Modupe for sharing this with us, and hopefully I get a chance to meet her in person when she’s on her London tour! But I’ll let you in on a fun fact in case you’re ever on the hot seat of “who wants to be a millionaire” and need to call a friend; she’s the person to call as she makes bold to say that her trivia knowledge can put anyone’s to shame! Jan 14 Mumfession: Redundancy, a Masters Degree & a New Baby!